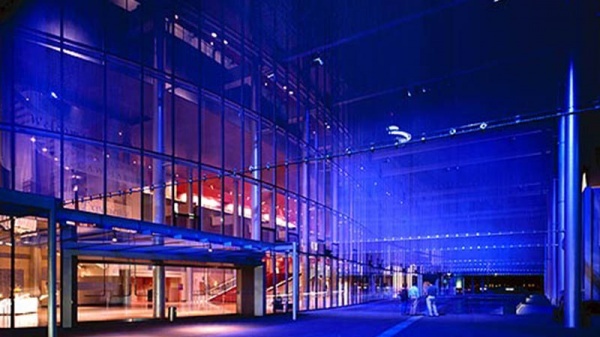 Marion Oliver McCaw Hall at Seattle Center is the region's premier performance venue. McCaw Hall opened in June 2003 as a $127 million renovation of the Seattle Opera House, made possible by a partnership between the Hall's two world-class resident performing arts tenants, Pacific Northwest Ballet and Seattle Opera, Seattle Center and the Seattle Center Foundation. This partnership secured $55 million in public funds and over $72 million in private philanthropic gifts to make the Hall a reality. The Hall is owned by the City of Seattle and operated by Seattle Center, in accordance with a unique 25-year Operating Agreement with its resident tenants, which provides them with on-going oversight and shared responsibility for its operations and budget. 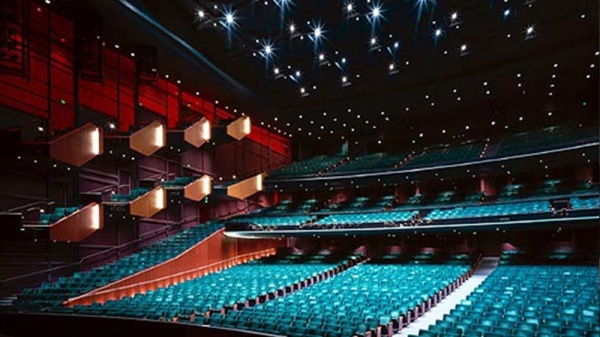 McCaw Hall includes the state-of-the-art 2,900-seat Susan Brotman Auditorium, the 380-seat Nesholm Family Lecture Hall, Prelude Café, elegant lobbies fronted by a luminous five-story serpentine glass wall, two beautiful donor/special function rooms, and a 17,800-square-foot public plaza (the Kreielsheimer Promenade) that serves as an entry into McCaw Hall and the Seattle Center campus. Designed by local architectural firm LMN, the Hall's design emphasizes elegance balanced with flexibility and functionality. Its open, airy lobbies strive to minimize the separation between exterior and interior, inviting the community to view and join the anticipation of audiences prior to a performance. 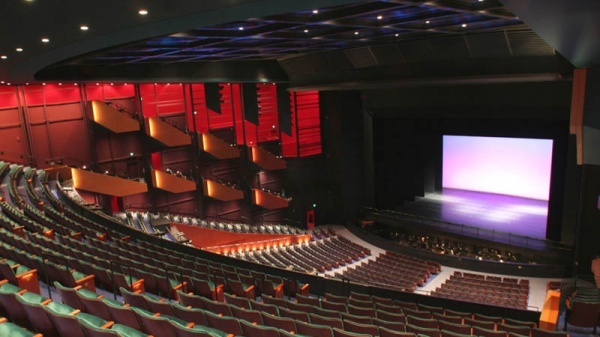 As well, the Hall incorporates a number of environmentally sustainable design features which minimize its use of resources, waste generation and carbon footprint. McCaw Hall is located on Mercer Street between 3rd and 4th Avenues, on the north edge of the Seattle Center campus, approximately 2 miles north of the Downtown Seattle business district. The Hall's street address is 321 Mercer Street. From I-5: Take Mercer Street exit and take right at light. Take left at next light onto Valley and follow into Broad Street. Turn right on Harrison, right on 5th, left on Roy and left onto 3rd Ave. Turn left to park in the Seattle Center Mercer Street Garage, or proceed to the corner of 3rd and Mercer, turn left (Mercer is one-way east-bound) and proceed immediately to the far right lane to drop off patrons directly in front of McCaw Hall. Operated by Spectra Food Services & Hospitality, Prelude at McCaw Hall offers show attendees a delectable dining experience. Our Executive Chef Nathan Batway loves creating new and innovative menus for our restaurant diners based on the season or production. From delightful appetizers to exquisite entrees and delicious desserts along with a wonderful selection of wines, we will help to make your show experience one to remember! Prelude Restaurant also has an appetizing brunch menu available to matinee goers prior to show time. Prelude opens 2 hours prior to performances. Tickets may be purchased without service fees at the Ticketmaster outlet on the west plaza of KeyArena, or 90 minutes prior to the event at McCaw Hall's box office located in Kreielsheimer Promenade Lobby. Wheelchair accessible seating is available. Please contact Ticketmaster to make accessible seating arrangements for the show you wish to attend. There are a limited number of transfer seats available. These seats have a movable arm that allows for easy transfer from wheelchair or walker to the seat. Aisles need to be clear during each performance. If you are not specifically sitting in designated wheelchair seating, walkers and wheelchairs cannot remain with you during the show. Usher staff can assist with stowing your walker or wheelchair in an appropriate nearby location.